Hard water stains on doors are gross and unsightly. 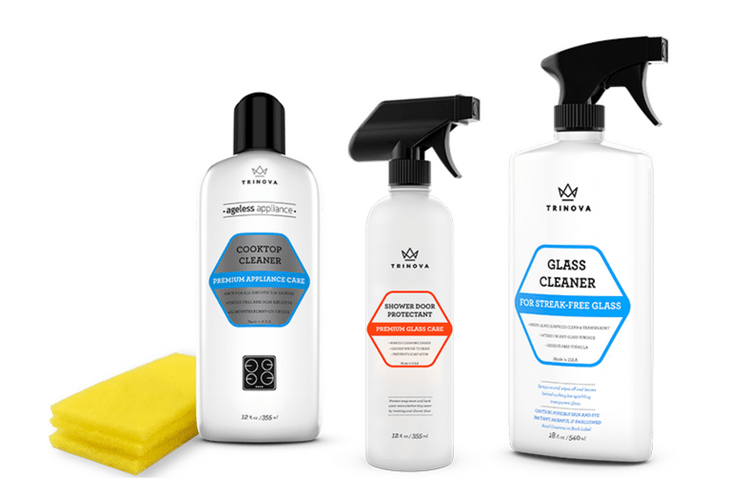 It seems like regular bathroom products, even the best cleaners and supplies, don’t work. That’s because most of these deposits are mineral and need a specialty cleaner. You want clean tile, grout, chrome, aluminum, fixtures, stone, or other bathroom surfaces. 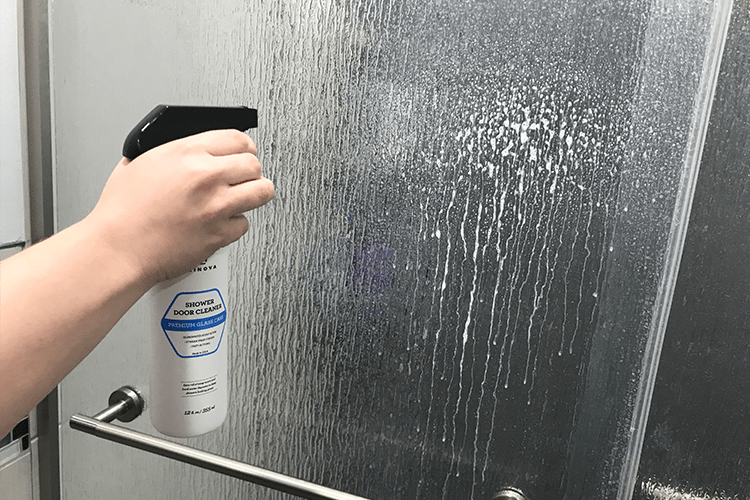 Our shower door cleaner was designed for glass but, secretly, it can tackle any job. DON’T TELL ANYONE! Simply spray on and wipe off. Use whatever method you prefer: towel, rag, long handle brush, cleaning tools, heavy duty wipes, squeegee, drill attachment, cloth, robot, sponge, microfiber, blade devices, hose, whatever! Just let it sit for a moment and wipe your way to sparkling glass. 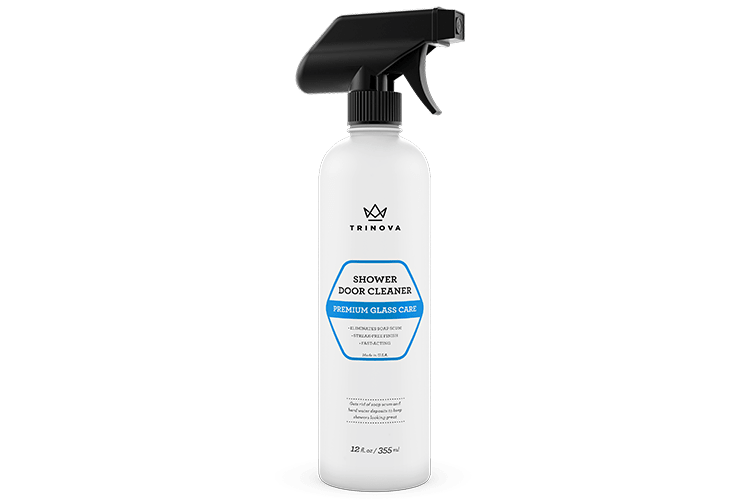 TriNova® Shower Door Cleaner is rated 5.0 out of 5 by 3. 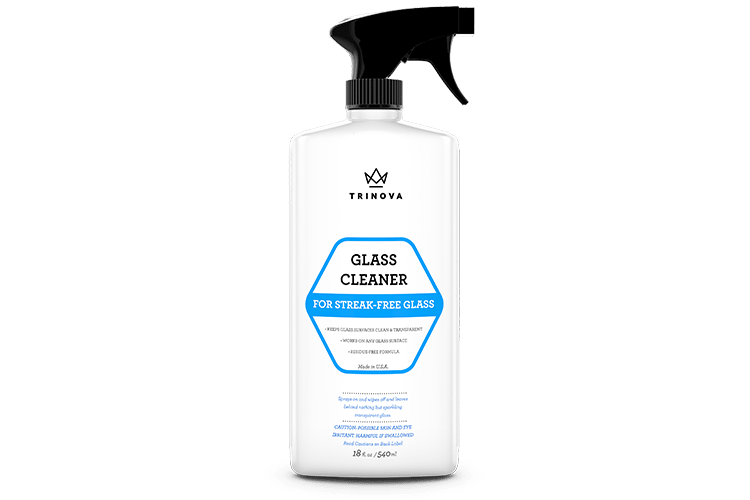 Rated 5 out of 5 by JCar1 from Trinova Shower Door Cleaner Nobody likes cleaning a shower’s scaley gunk left on there for weeks or longer. Trinova shower door cleaner makes the task a whole lot easier and with streak free crystal clear results! I received a sample at discounted price to try out in exchange for my honest thoughts. After having alot of buildup and scum on my door it used only this product and several paper towels. 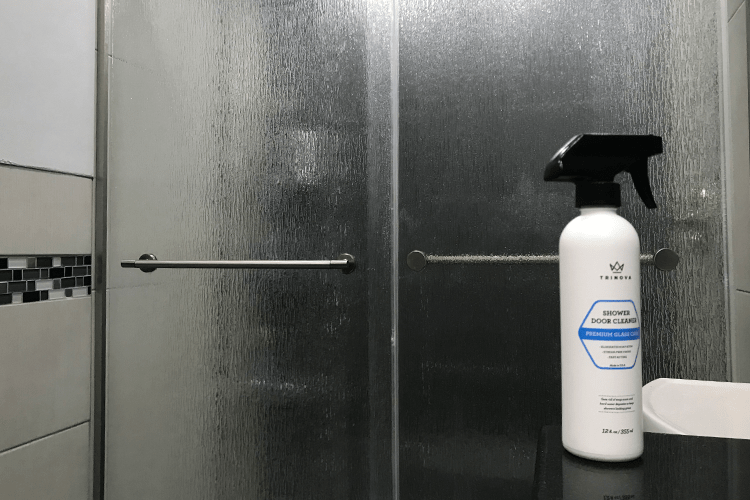 I let the product sit for a minute and half on the glass door, after which it came off with ease and hardly any scrubbing at all leaving myself very impressed at the results. Rated 5 out of 5 by Doreen from Great product It really works got the shower door clean and no streaks . Easy to use just spray it on wait 1 minute and wipe it off. The only thing wish the scent was more appealing. 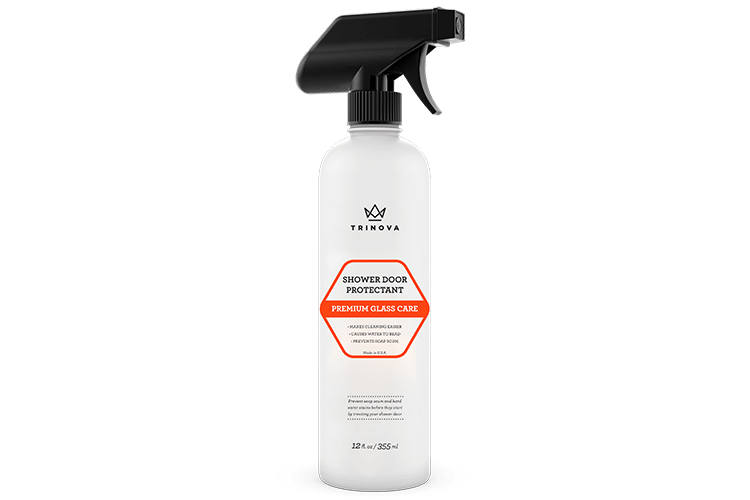 I received a sample at a discounted price to try out and review.